Home > FAQs > NEW FAQ > Can CBE help me find an agent or publisher? 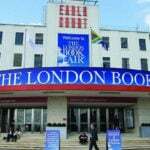 While we can’t directly advise you on acquiring a publisher or connect you with an agent, many times agents or publishers will visit our booth to find new titles and clients. 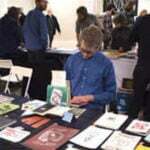 If you’re interested in selling translation rights at one of our international shows (such as New York Rights Fair, Frankfurt, London or Guadalajara) might be a good match. You can also visit Pubmatch.com for more information on selling your translation rights online.